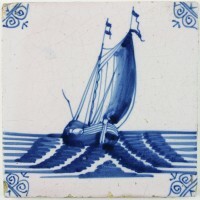 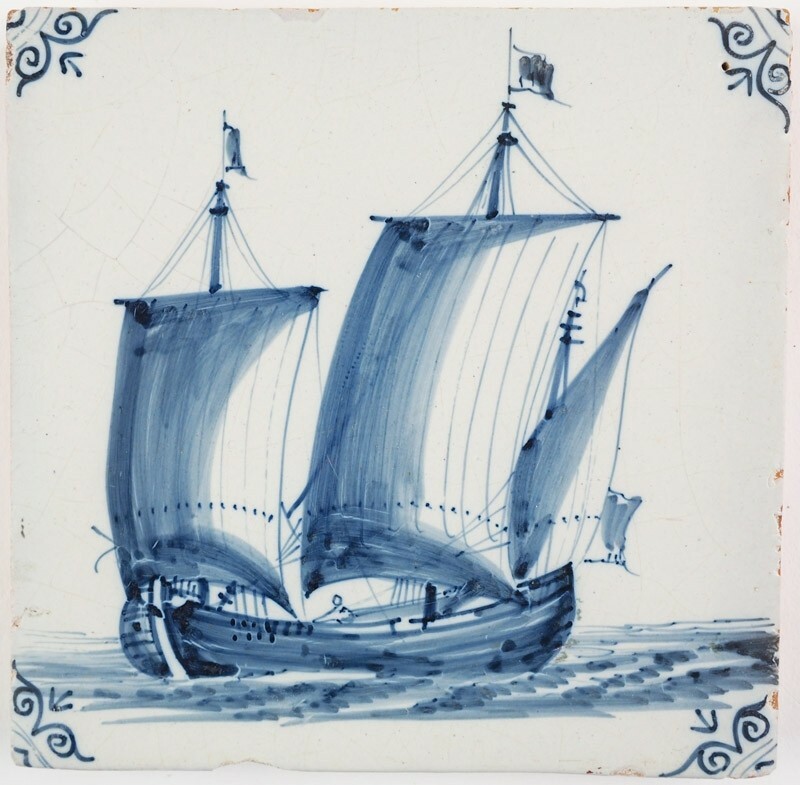 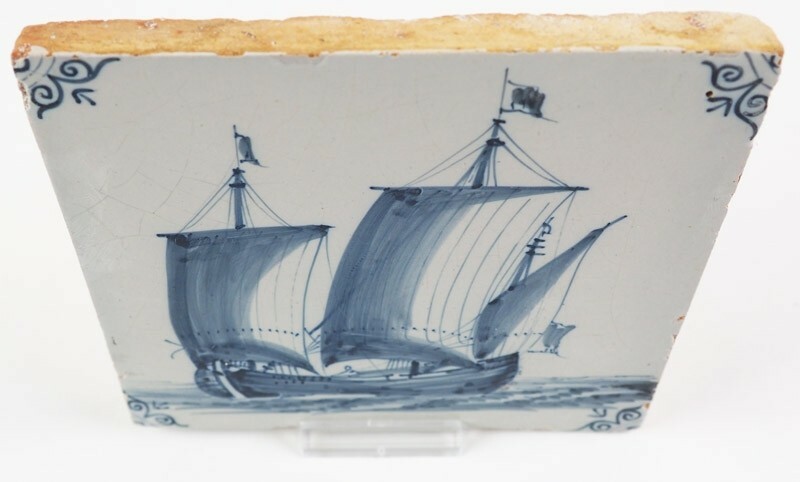 This is a beautiful Delft tile in blue depicting a cargo boat under sail. 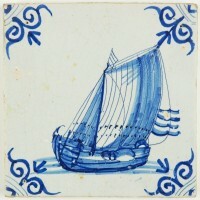 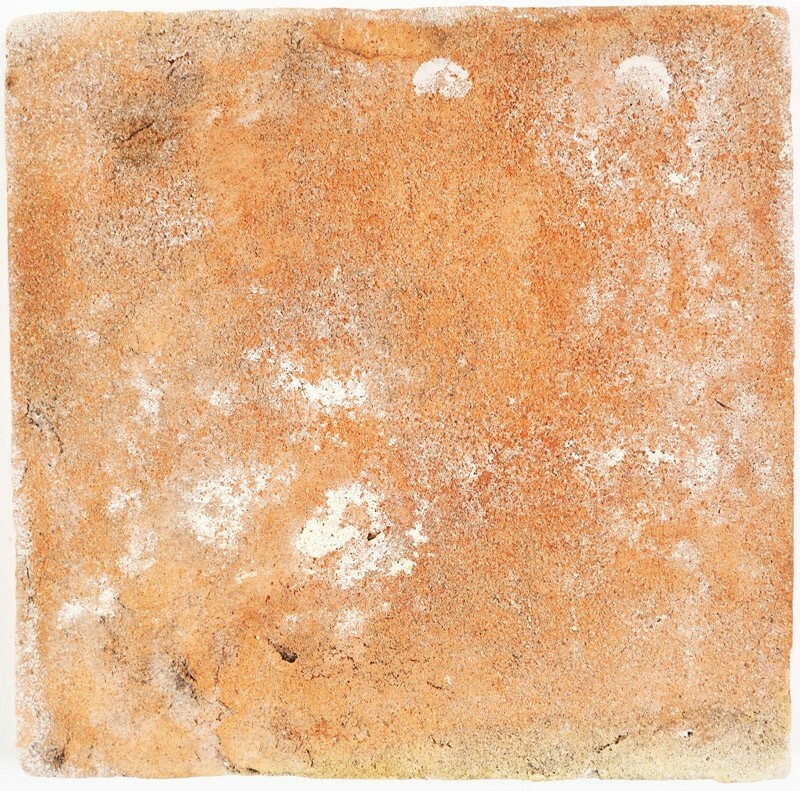 The tile dates from around 1650 and is decorated with 'ox-head' corner motifs. 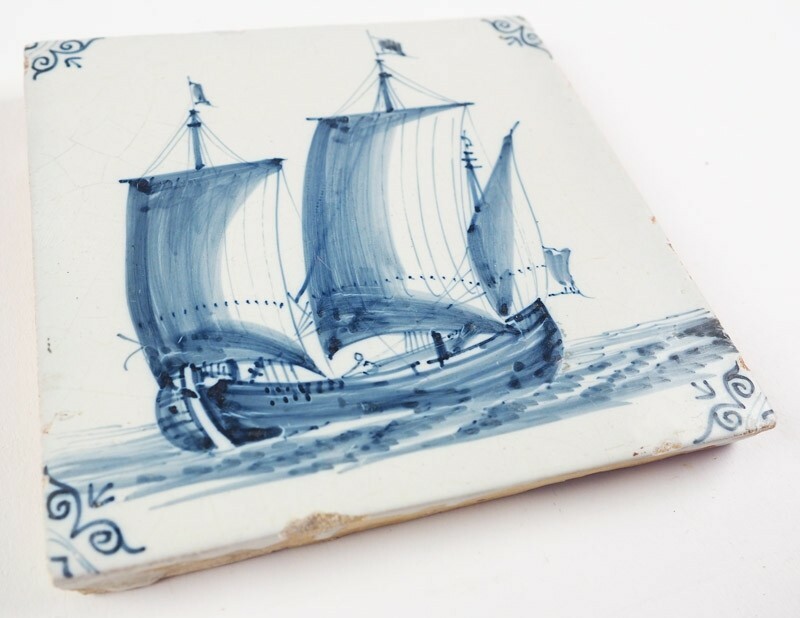 It is in a mint condition.